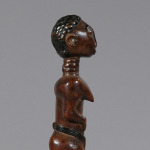 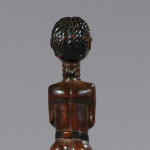 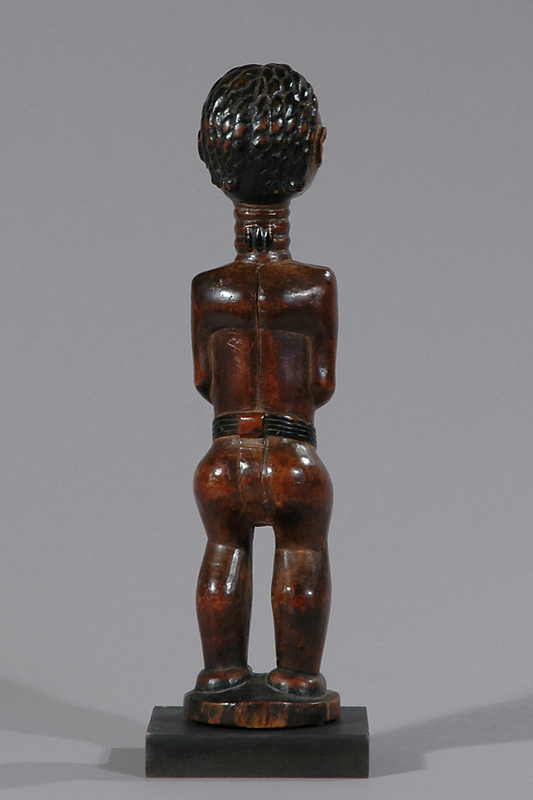 This is an exceptionally beautiful and well-preserved Akan-Ashanti female figure with a shiny brown surface. 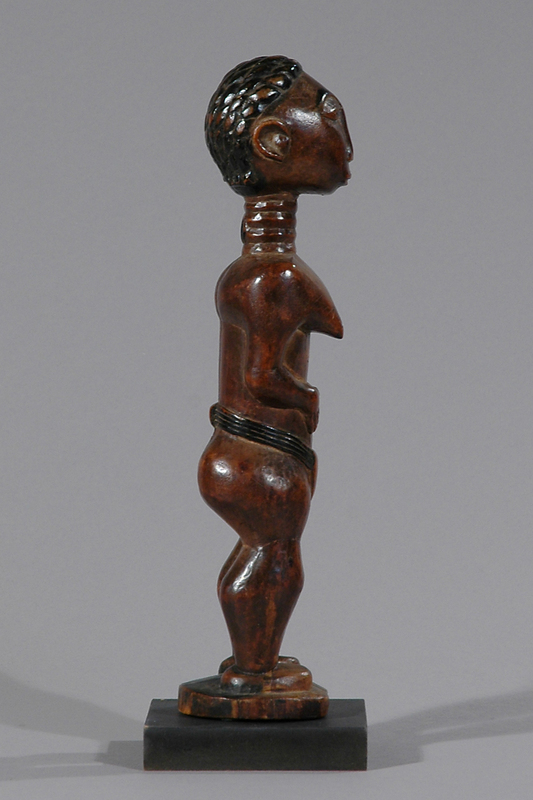 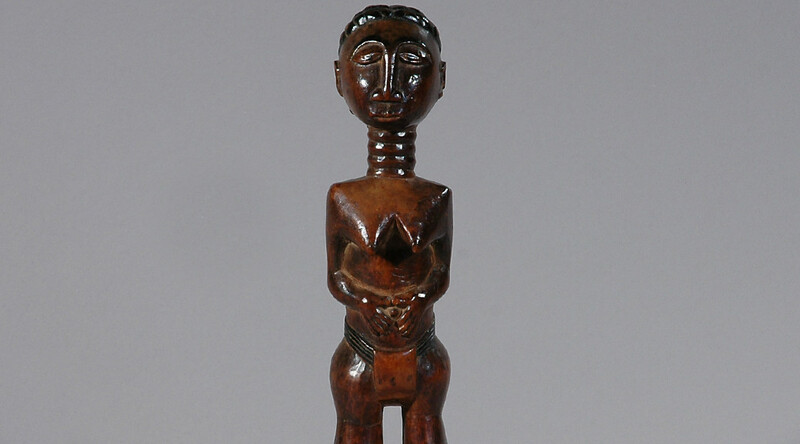 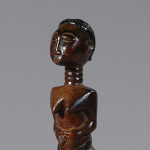 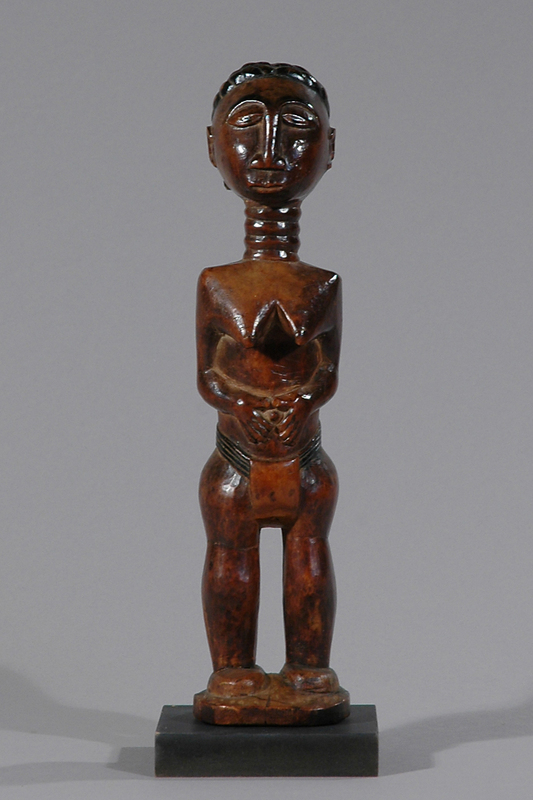 Her straight and serious attitude with both hands placed on her stomach and the fine stylized loincloth testify a role in connection with her function as an ancestor figure placed on the family shrine. 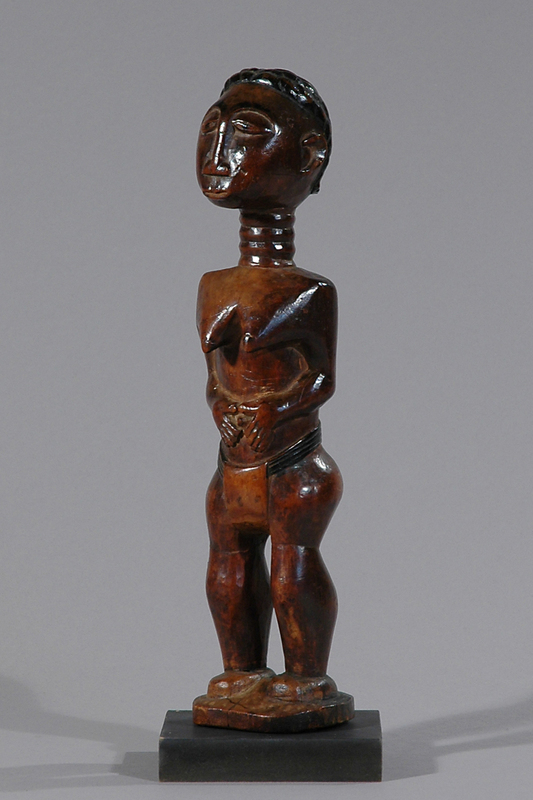 Female representations are important in the Asante culture as the female ancestor or Queen-Mother is the center of familial and community life and the center of political life. 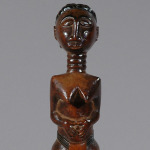 Figures like this will receive offerings and gifts while on her shrine.